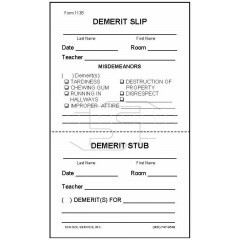 Padded demerit slip. 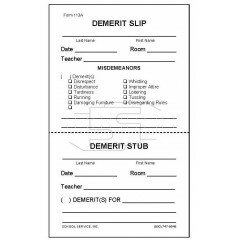 Size: 3 x 5 size Type: Bond paper padded (note pad paper) Stock P..
Perforated demerit slip. 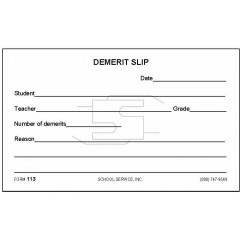 Size: 5 x 3 size Type: Bond paper padded (note pad paper) Perforat..
Perforated demerit slip. Replaced by form 113A. 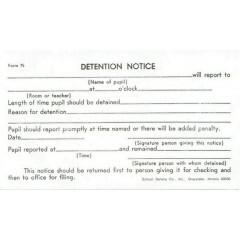 Size: 5 x 3 size Type: Bond paper padded (n..
Perforated detention slip. Replaced by form 75C. 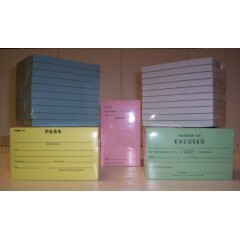 Size: 5 x 3 size Type: Bond paper padded (..
Discount Save $1.00, Limited time offer, order TODAY! 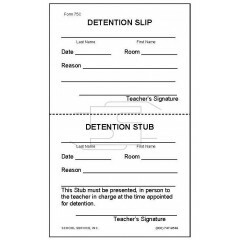 Padded detention slip. 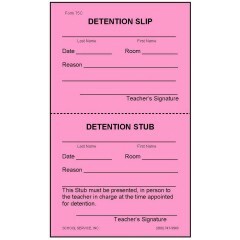 Size: 3 x 5&..
Padded detention notice. 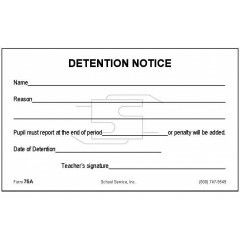 Size: 3 x 5 size Type: Bond paper padded (note pad paper) Stock&nb..
Padded detention slip. 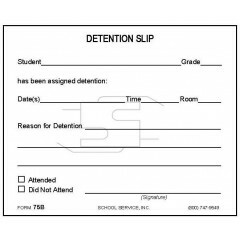 Size: 3-1/2 x 4-1/4 size Type: Bond paper padded (note pad paper) ..
Perforated detention slip. Size: 5 x 3 size Type: Bond paper padded (note pad paper) Perfor..